Best Hiking Gifts: Looking for the Best Ones? Here They Are! At times, it can be quite difficult to come up with ideas of what kind of gifts to give the hiking enthusiast in your life. If you aren’t that into hiking and all the gear that can go with it, you might worry that the item you selected may not be of good quality or that it might look cool but not actually be all that much use to a hiker. You shouldn’t have to spend a ton of time searching for something you know nothing about just to make sure you get the right gift for someone you care about and that’s why we’re here to help. Luckily for you we’ve come up with a list of the best hiking gifts you can find, which means you’ll always have the right gift for that special someone. Any of these could be a strong choice. While any of these could work as a good hiking gift, you will want to take some time and think about the person that you are giving it to. 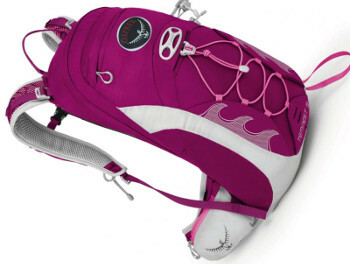 As we go through the list you will see that some of these may be suited for any hiker tackling any terrain. Others may be more suited to a given type of hiker or useful only in certain types of terrain. Gear size can be a stumbling block. Sometimes bigger can be better, but smaller bottle may be easier to slide into pockets of backpacks and be a more comfortable weight to lug around when it is full. This is also going to depend on the specific person you’re buying for. You want to know what type of backpacker, hiker or camper this person is. Do they go minimalist and try to pack as little as possible or do they like to take everything they could possibly need for a trip? Knowing this will help you decide on the overall size of gear. You will want to think about the types of trips they go on as well. Some people love to go mountain climbing while others want to camp in a tent or a camper. Some like to hike with just a backpack. Different types of trips are going to require different types of gear, so it’s important for you to take a look at what that person likes to do and look for equipment accordingly. The right gear may not always be the most obvious thing though either. Is this person an avid outdoors person or have they only just started hiking or camping outdoors? If they spend a lot of time with these activities you may want to get them more advanced tools and supplies, but if they’re just getting started you may want to opt for something like a good thermos or some warm clothes to wear. By getting a good idea of how long they’ve been involved in these types of things you’re going to be much better prepared for buying a gift. You’ll also be more likely to get them something that they can actually use and will actually appreciate. It’s not just about the overall quality of the gear itself, but some people prefer a tool that they can use and then get rid of rather than something they need to carry around with them all the time. Disposable gear can be a benefit for some types of hikers, especially if they’re able to economically dispose of it right in the wilderness (bio-degradable, for example). You want something that is going to fit their type of outdoor style and that means making sure that they have gear they’re going to want to use. If you don’t get gear that they can feel comfortable with then it could be difficult for them to use. Not everyone wants the latest and greatest gear for their outdoor trips. Some people prefer to stick with the products that they already know and trust and can rely on. If the person you’re buying for is more adventurous they may appreciate something brand new they can try out for themselves, but not everyone does. Make sure you know their feelings about brand new products versus the old reliable options. They may not want to get that really cool new tool you’ve seen on TV. Some of the best products available are going to be more standard than unique (though you never know what you might find). Take a look at each of these and see what you decide about the features and definitely, the qualities, that they provide for any camping or outdoor trip. Description: The REI Flex Lite Table is a great gift idea for anyone that wants to be able to head out on the trail and needs that extra bit of table space. So often while out camping or hiking you just need to have somewhere to put down a plate or to prepare some food to keep it off of the dirt. And to make it all that much better the table folds down to just about nothing and can be stored in the convenient included carry sack. One note on this table is that it is a little bit lower than a standard table. REI offers a low slung chair to match this height, but the other chairs may not work as well with it. 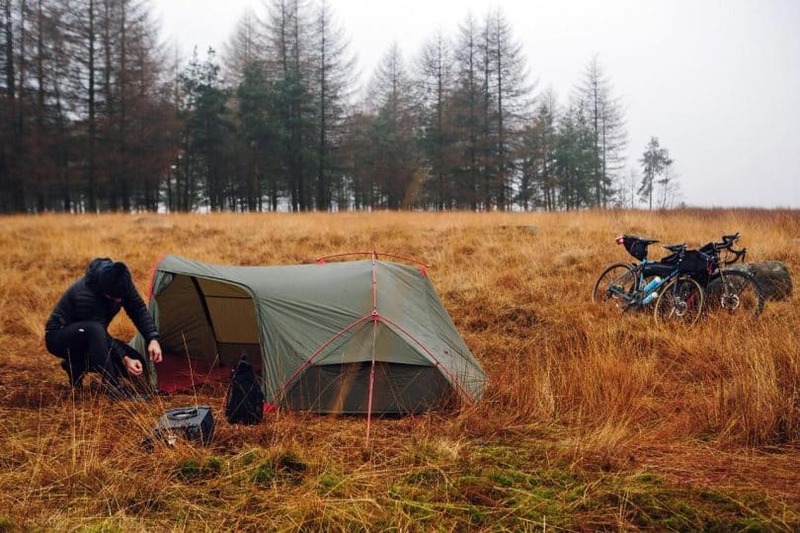 It’s easy to fold down and easy to use if you need a surface, however, and that makes it great for those who want to be able to set up camp quickly but tear it down just as easily. 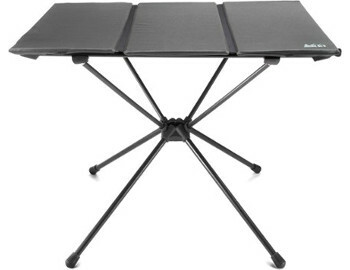 Related: The REI Flexlite Chair is a great compliment to this table because it’s designed to fit comfortably right next to it. The table is a little low so with this chair you get comfort and a perfect fit. 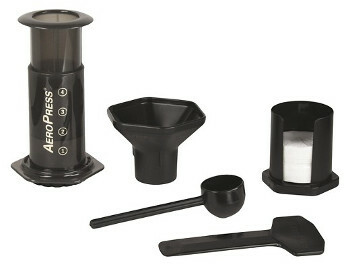 Description: The Aeropress Coffee and Espresso Maker is small and compact, while still giving you control over your coffee. With a mixture of choice on grind size and correct pressure to press the plunger down you’ll be able to make a superior cup of Joe that fits your own preferences. This press is constructed of plastic so there is no worry of it shattering if it falls or is knocked off a table. As a plus, it comes with a micro filter to ensure that you won’t have pesky grounds floating in your cup. The system comes with several fresh filters allowing you to brew quite a few batches and it can pull double duty in that it makes either a cup of coffee or an espresso double shot that is quite appealing. If you had a cooler with some open space you could always bring some milk and have some fireside lattes. Related: A good filter is definitely a necessity with this product because you’re going to need to replace them frequently. Well, at least until you get the Altura The Mesh Filter, which allows you to just wash and reuse a stainless steel filter as many times as you want, for a very low price (with a lifetime guarantee). Sizes: 18 oz., 32 oz., 40 oz., 64 oz. 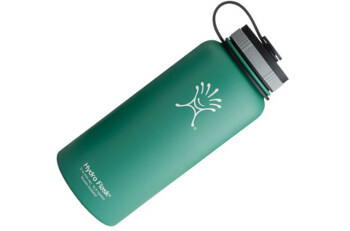 Description: The Hydro Flask Water Bottle is an excellent choice for anyone who likes to head out into the wilderness, but is also a great option for anyone who sticks closer to town too. The stainless steel construction can keep a beverage either hot for up to six hours or cold for up to 24 hours. Four different sizes are available so you can get whatever you think the other person will use most and there are plenty of color options so you can easily choose their favorite. The wide mouth opening is designed for use with the Hydro Flask Straw Lid Flip Lid or Flex Cap so you have plenty of options on how you prefer to drink out of it and it’s made with BPA-free plastic and food grade-stainless steel. 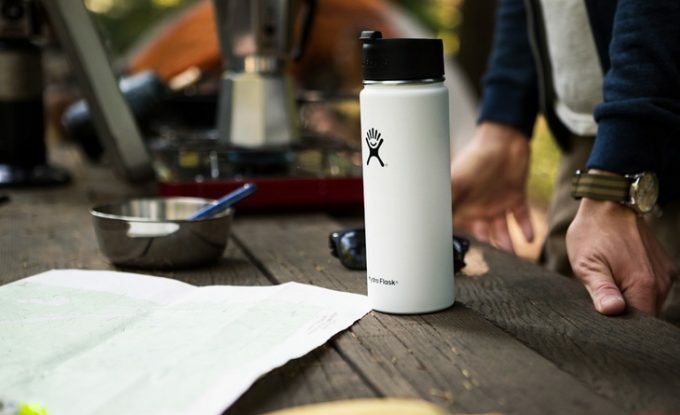 The bottle has a powder coat that keeps it from slipping and you can use it with most water filters to keep your water clean and clear, no matter where you get it from. Related: Add the Hydro Flask Wide Mouth Straw Lid and you’ll have an even easier time drinking out of this bottle (or whoever you buy it for will). The straw flips up easily to drink out of and flips down to keep your water protected. Description: Why not select the Suunto M-3 G Compass to give as a gift? 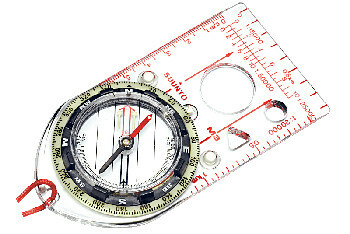 This compass is available in a global variant, meaning that you would be able to use it in either the northern or southern hemisphere. Cheaper compasses are normally only useful in a single hemisphere due to the difference in magnetic fields between the two hemispheres. This compass also has luminescent markings on it to allow a glow so that you can see it during low light times without the need of a flashlight. These are not powered and will absorb light during the day and release it again when it begins to get dark, or is put into a dark area. These will not work if you leave it in the pack or holder all day long. Many people might think that a compass is no longer necessary due having GPS, but there are still any number of reasons that a hiker should take a compass with them as well. It’s old-school, but definitely effective. Related: The Wilderness Navigation book is designed to help you figure out how to use your compass and maps properly as well as things like altimeters and GPS. That way you can always be prepared for whatever you need on your travels. 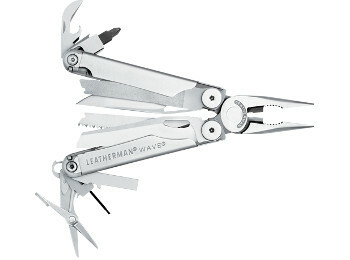 Description: The Leatherman Wave Multitool would be a great gift for any outdoors man or woman. With its impressive range of tools included it can help you with any number of tasks, ranging from building something with the screwdrivers, to whittling something with the knife or even opening up that refreshing beverage at the end of a long day’s hike with the bottle opener. This setup also comes with a leather and nylon sheath for storage or quick access to the tool. The manufacturer stands behind the piece, offering a 25 year guarantee on the tool. For your safety, when you are using it, each tool can be used single handed, and other than the pliers, can lock into place to ensure that they don’t start closing in on you while you are trying to use them. Does this sound like the perfect gift that you have been looking for? Related: If you’re looking for another way to carry your multi-tool this Leatherman Quick Release Clip can be a great choice. It’s inexpensive and built with the same high quality materials (and by the same company) so you can trust it’s going to fit and last. Description: A good backpack is a great option for anyone who is headed out either for running errands or a hike in the forest, and the Osprey Packs Tempest Backpack is an outstanding choice. This one is designed specifically for a women’s build and frame. It is also available in 3 different color choices to fit in with anyone’s color tastes. The main compartment has a very wide opening to make it easy to get any of your items in and out. Once they are in there is a zippered mesh pocket so you can keep those special items like keys or a camera easily accessible. But then again, you may want to keep your camera in one of the zippered pockets on the hip belt for the quickest access while you are wearing the pack. There is an external hydration sleeve to keep your water bladder separate from your other gear as an added guard against leaks. Related: If you need a way to carry even more stuff this hip pack is a great way to do it. Larger than your traditional fanny pack, it can hold two water bottles and plenty of other gear so the Osprey Packs Tempest Hip Pack is going to be a great choice for you. 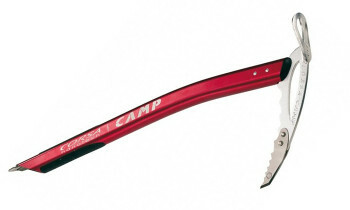 Description: The Camp USA Corsa Ice Axe is just the choice for someone that is getting into high altitude hiking, ski mountaineering or adventure racing. This ice axe is billed as the world’s lightest ice axe, which lets it join you on various trips like backpacking outings in which heavier axes would weigh you down too much. This axe does meet all CE and UIAA requirements for strength and durability. It is made more for low angle glaciers and the manufacturers do point out that it is not meant for ice climbing and the like. But it could be ideal for snow travel and self-arrests. Also good for anchoring on glacier rescue as well as traversing cornices, this axe has a nylon spike plug and is made with steel for increased durability. 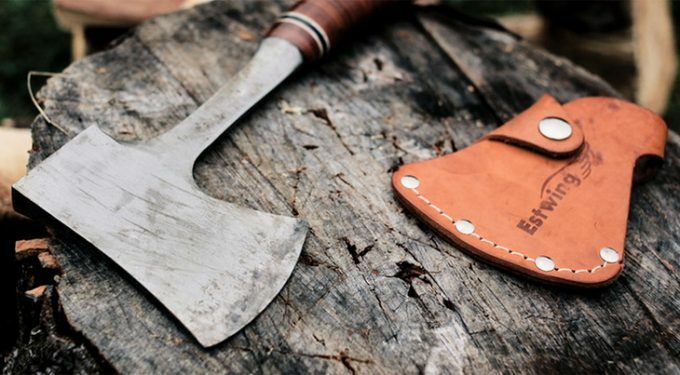 A little more expensive than some options, this axe comes in four different sizes for your ideal purposes. Related: With a good quality axe you’re also going to need protection to carry it safely. The Camp USA Spike Protector is great for this because it fits over the axe spike and makes sure you can take it wherever you want. Description: If you know someone who loves going backpacking and needs an amazing single person camping stove the Jetboil MiniMo Personal Cooking System is just the thing to get them. This has a small burner and a pot that doubles as your bowl, meaning that much less cleanup is necessary and you don’t have to worry about spilling while serving. It also means that it may not the best option for those who only go camping in groups and want to all cook together. The push button igniter means that you don’t need to worry about getting a match down to the right place with the burner, or you won’t have to fret if your matches get a bit wet. While this system does have a pot/bowl that doesn’t mean that you couldn’t use another pot with the burner if you wanted to cook for a few more people. This uses a certain type of fuel canister, so you’ll want to make sure that you have enough of those before you head out on a trip. Related: If you’re using this stove you’re definitely going to want the pot stabilizer to go with it. 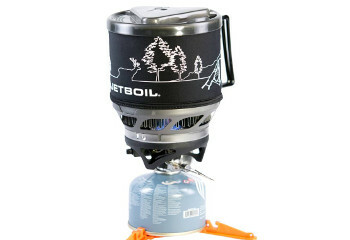 Inexpensive and easy to use, the Jetboil Pot Support is great for you to get a great meal on the trails. There you have it, some great hiking gifts. Now just like any gift you will want to consider the person receiving the gift and what they like. 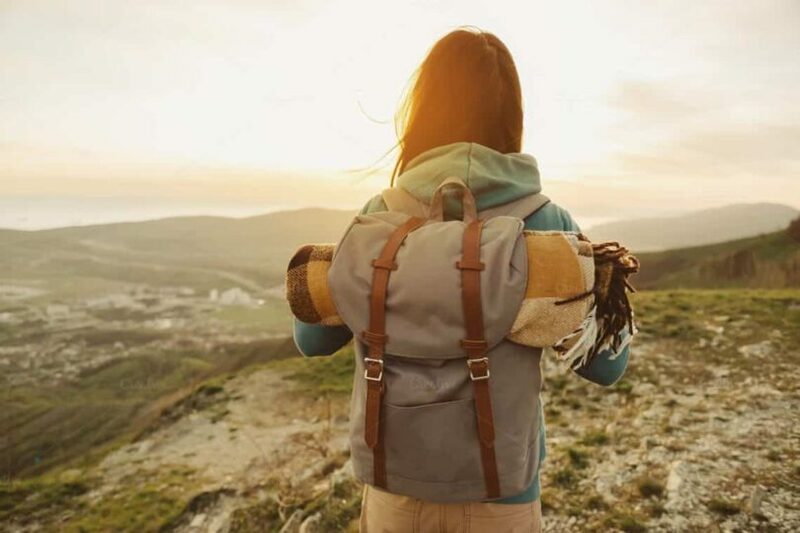 Are they just a hiker, or a backpacker? Perhaps they are an ultra-light camper or maybe they only head out on day hikes? Don’t forget to consider size and color options, you don’t want to give someone who owns a solely blue gear a bright pink piece of kit if you can at all help it. While there is a lot to consider when picking out just the right gift idea, it will go so much further when you give it instead of getting a gift card, since you put the effort into getting something special. But now it is your turn, we’d love to hear what gifts you are looking to give to the hiker in your life in the comments below. Also if you have some friends that know hikers, or perhaps if you are a hiker that would like some of these gifts, please share this article with others. John is passionate about hiking long distances. His record is over 65 miles in one day with backpacking gear. 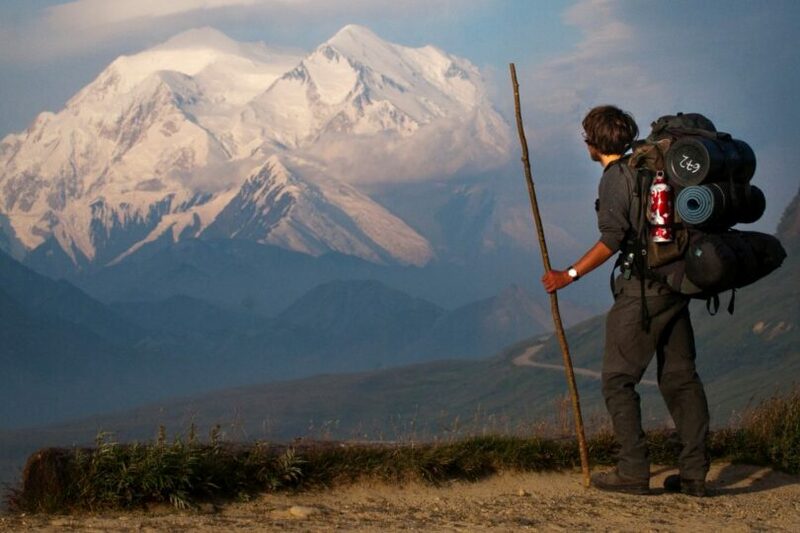 John hiked over 10 thousand miles, tried over 100 hiking shoes and visited 56 countries so far. His favourite hiking route is West Coast Trail on Vancouver Island in British Columbia, Canada. 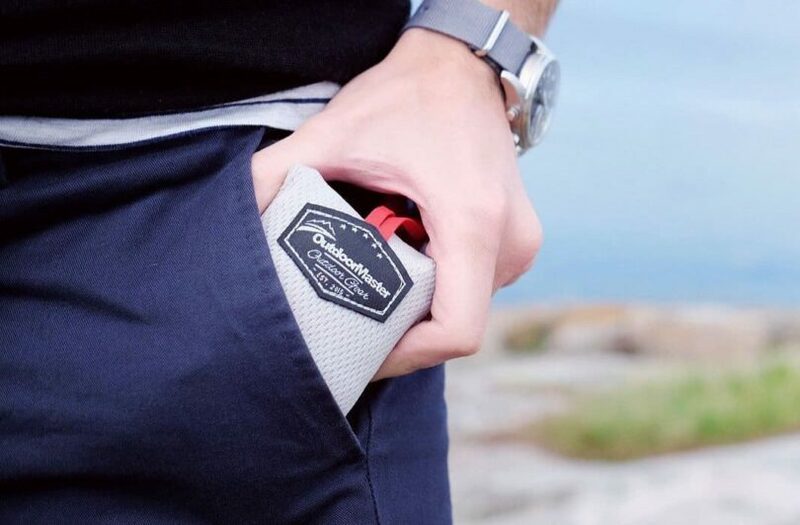 Best Multitool for EDC: Be Ready Whenever, Wherever! Copyright © Hiking Mastery. All rights reserved. Reproduction of any portion of this website only at the permission of Hiking Mastery.